Appointed in 2009 as the Harris County representative to the Board of Managers, Russell Rau’s history with 9-1-1 extends over 35 years. Mr. Rau had the opportunity to serve as a key member on the staff of Harris County Commissioner Tom Bass in 1976. He organized a community effort that led to the first emergency number district in the State of Texas, the Greater Harris County 9-1-1 Emergency Network. The effort included the passage of legislation to provide funding for the system, coordination of more than 35 local governments that participated in the system, and a successful public education campaign that led to voter approval of 82%. He later worked to pass statewide legislation to bring 9-1-1 service to the entire State of Texas. Governor Mark White appointed him to the legislatively established Texas Advisory Commission on Emergency Communications. During his tenure on the Commission, the structure and funding mechanisms were developed that continue to provide 9-1-1 service to the citizens of Texas to this day. 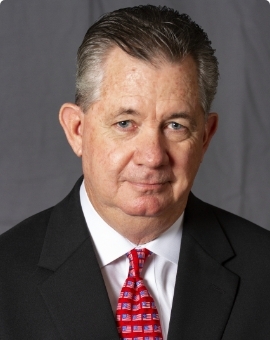 Prior to his appointment as the Harris County representative, Mr. Rau was a member of the Board of Managers as one of the City of Houston’s representatives, serving from 1985 to 2005. Combined with his current service, Mr. Rau has served on the Board of Managers for approximately 30 years. He has worked in the field of real estate brokerage and development in the Houston area since the mid 1980’s. He is a graduate of the University of Houston. Mr. Rau has always maintained a strong commitment to his community. In addition to his service on the Greater Harris County 9-1-1 Board of Managers, he is an active Boy Scout Adult Leader and Troop Advancement Chair.